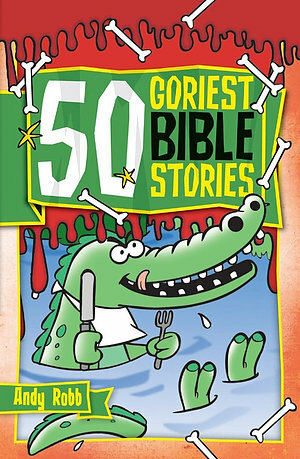 All the grimy, gungy and gory parts of the Bible are all put together in this collection of stories for kids aged 8-12. Kids will go nuts for these stories of blood and guts! A sword plunged to the heart into a super-fat king's blubber, a bloke getting killed by lightning, coldblooded murder, tons of people drowning, scary skin diseases, famines, earthquakes. Loads of gross and gory things happened in Bible times! Here are 50 of the goriest. Andy Robb is an established children's illustrator and writer with almost thirty books to his name. He is passionate about producing books that help children understand who God is and how to live life God's way. 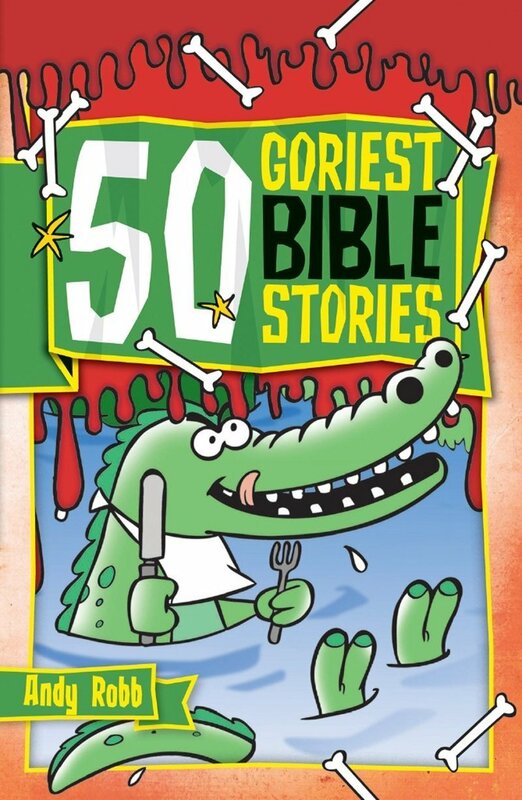 50 Goriest Bible Stories by Andy Robb was published by CWR in August 2009 and is our 3249th best seller. The ISBN for 50 Goriest Bible Stories is 9781853455308. My boys, aged 5 and 7, love reading these stories at the weekend. They are getting for getting boys interested in the Bible, and each story ends in a cliffhanger so you look up a passage to find out how it ends. Sometimes it's a challenge to apply the stories to our own lives, but it gets us talking! Got a question? No problem! Just click here to ask us about 50 Goriest Bible Stories.